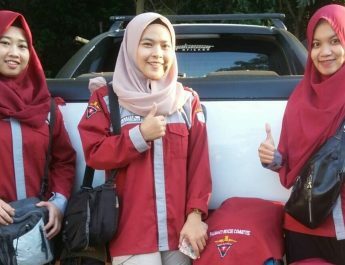 A team from Laboratories of Biopharmacy & Pharmacology – Toxicology Faculty of Pharmacy Hasanuddin University (FF UH) conducted community service program (PKM) at Public Senior High School (SMAN) I Masamba. The team was welcomed by head of the school, Drs. Syaifullah, MM. The program took place successfully and full of kinship. The theme of this program was Communication, Information and Education of Narcotics and Psychotropics. In his opening remarks, Syaifullah said, “Narcotics are a threat not only for ourself, but also for the country. He also thanked to the team because of this visit. Furthermore, still in his remarks, Syaifullah stated that the total students in this school are around 1262 divided into 32 classes. Of those number of students, 450 students will join national examination in 2017 which will be conducted computer-based exam. As the leader of the team was Prof. Dr. rer. nat. Marianti A. Manggau, Apt. In her speech, she conveyed that the team consisted of 7 lecturers and 9 students in Laboratories of Biopharmacy & Pharmacology – Toxicology. 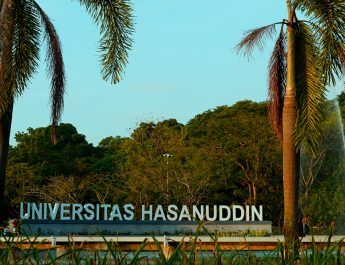 In addition to making counselling about narcotics and psychotropics, the team also introduced Faculty of Pharmacy and Hasanuddin University via video presentations. This was conducted to open the insight of the students about pharmaceutical world. “Many people make misperception that pharmacy is only medicines. In fact, pharmacy also develops other products, such as healthy food,” said Marianti. After opening ceremony, the program was continued by presentation about DAGUSIBU (How to Get, Use, Store and Remove Drugs in Right Way). This presentation was performed by Habibie, M.Pharm.Sc., Apt. He said that drugs are not like ordinary goods. All aspects of the drugs must be used properly in order to get satisfactory effects. “Do not let suppositoria (a drug administered thorugh rectal (dubur – Indonesian)) consumed along with porridge (bubur – Indonesia),” said Habibie. The next presentation in this event was counselling of narcotics, psychotropics and addictive substances (NAPZA). It was performed by Sukamto S. Mamada, M.Sc., Apt. In his opening part, he presented several cases (Freddy Budiman, Heath Ledger and Michael Jackson) in drug abuses making the user death. The presenter counselled 3 substances which are found popularly in community. They are ecstasy, dextrometorphan and LSD-containing glue. 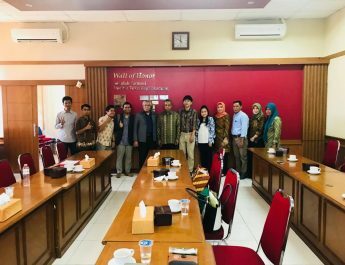 To attract enthusiams of the students, during the presentation, Sukamto gave aromatherapy products for the audiences who could answer the asked questions. After those 2 counselling presentation finished, the program was continued to doorprize session, souvenir awarding, group photo and closing ceremony. 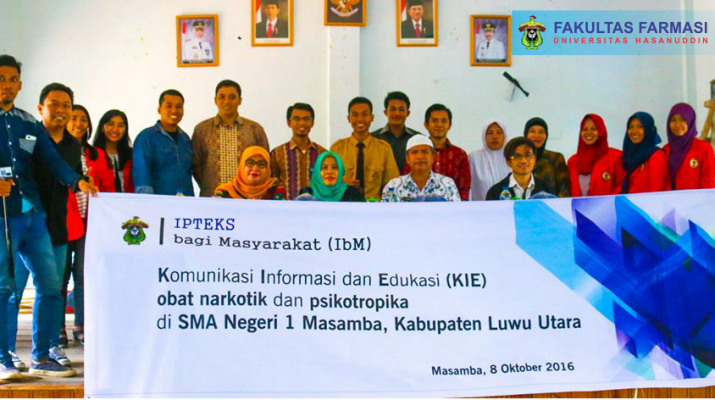 The event was attended by approximately 170 students and taken place in ballroom of SMAN I Masamba. The event was begun at 09.00 and ended at 12.00 Wita.